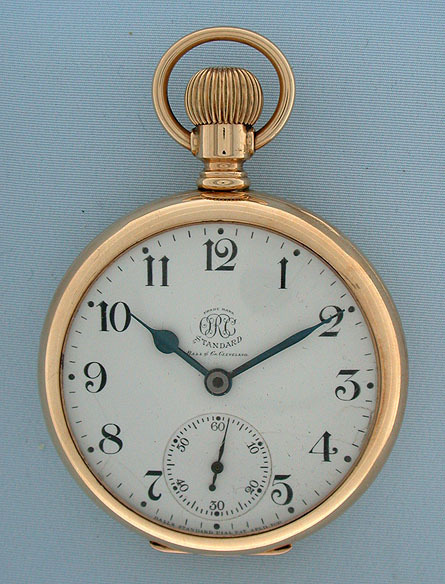 Fine and very rare 14K gold Ball Order of Railway Conductors 18/S railroad watch circa 1900. White enamel dial (edge chips and hairlines) with bold numerals and blued steel hands. 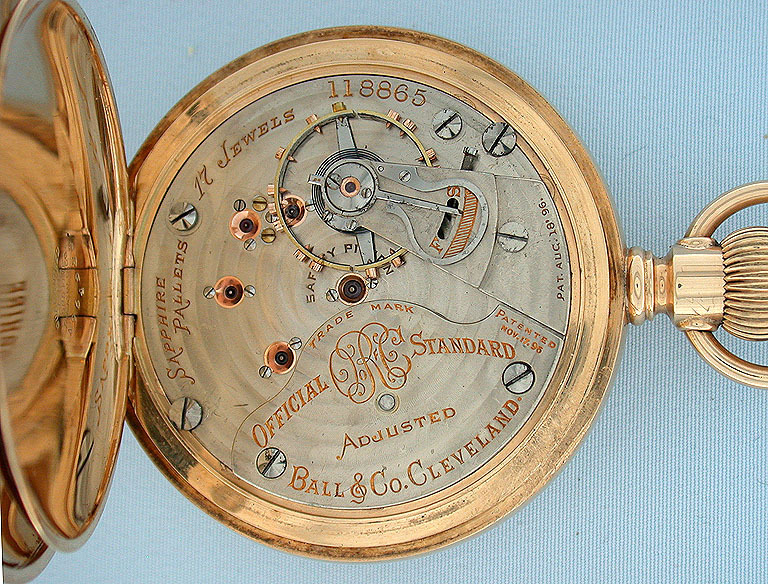 Beautifully damaskeened nickel 17 jewel movement with screwed gold jewel settings and sapphire pallet jewels. 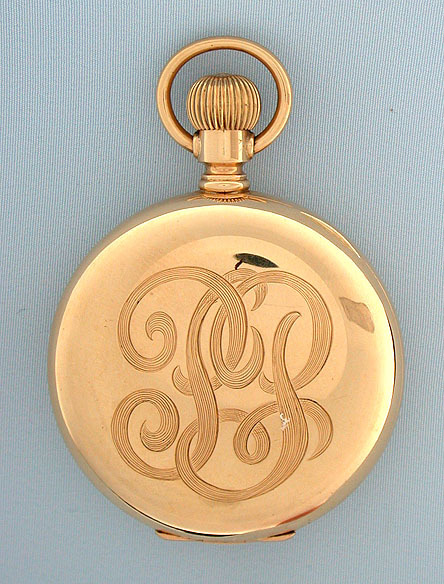 Recased in a plain polish 14K gold Keystone case.